Whenever two or more individuals have different opinions or strive toward the same scarce resources, there is a fertile ground for an interpersonal conflict to develop. Interpersonal conflicts are as old as our civilization, and no matter the size or the cause, they have resulted in an array of different outcomes and consequences for their actors. Whether they occur: in a dyadic relationship between intimate partners; between a patient and a therapist; in a peer-group of students, or between two teams within the same company, conflicts can always be observed from a psychological viewpoint. Most conflicts are mixed-motive conflicts in which the parties involved have both cooperative and competitive interests, but there is no easy guess regarding whether the result will be constructive or destructive. If the conflict is openly manifested, the main tool that the conflicted sides are often utilizing is interpersonal communication. Therefore, communication factors, strategies, and preferences are also of great importance when examining conflicts. 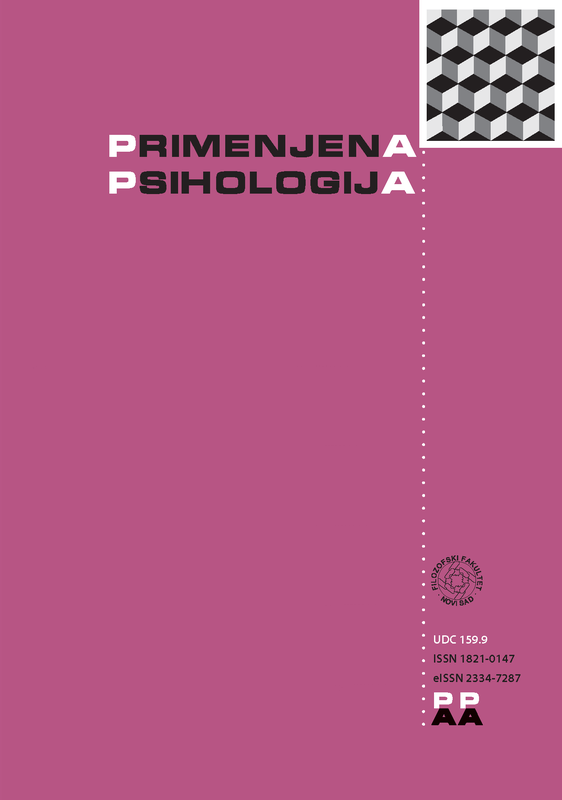 This special issue of Primenjena psihologija accepts submissions in the forms of: quantitative or qualitative research, case studies, and systematic literature review, related to relevant topics in the applied context. The following list of topics may serve as illustration and inspiration; however, it is non-exhaustive as other relevant topics shall also be considered. All submitted papers are subject to a double-blind peer-review process. The submission deadline is September 15, 2019, and accepted papers are to be published in Vol. 12, No. 4 (December 2019). 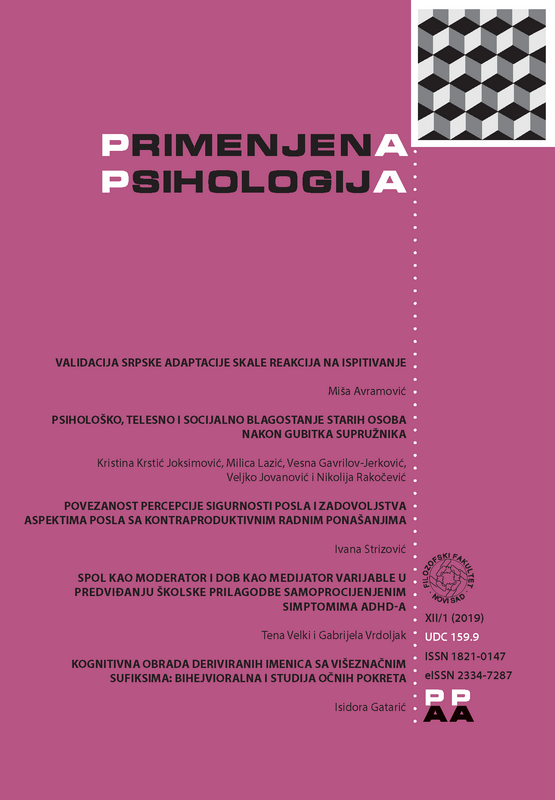 The authors are requested to submit their papers electronically by using the web site primenjena.psihologija.ff.uns.ac.rs. For all necessary information regarding the manuscript preparation please check the Author Guidelines section.